It is hard to keep a stringent budget, especially when you aren’t working with much to begin with. It is even harder to make sacrifices and decide to do without something that makes you happy that you know isn’t worth the money. 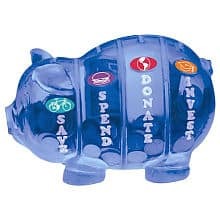 One of the best ways to help yourself stick to your budget is to allow yourself small pleasures. Below is a list of several things in my life that I have allowed to stay in my budget as a tradeoff for more expensive things. All of the list below are things that exist in my real life and things that I have found will save me money in the long run. Zoo, pool, amusement park, etc. You don’t need to spend extra money when you have free time; you’ve already made the investment. And that “investment” is the key term here. You may think that shelling out $169 for an amusement park pass or $60 for a zoo pass might kill your weekly (or monthly) budget, but not only can you return a unlimited number of times, you also can feel less pressured to “get your money’s worth” in each trip. You don’t have to stay at the amusement park for 16 hours and go home exhausted, you can come back next week and the next week and go home whenever you feel like it. I bought a zoo pass. It was $61 and I get myself, my son and one other adult into the zoo for free as many times as we want to go. It’s only June and we have already gone twice. I’m picturing a summer full of lions and elephants, and I am very excited about it. I pay $23 a month for a gym pass to simply use the elliptical. Yes, I could run outside. I hate running, however, and prefer an elliptical. I also carefully researched the gym and they have a movie room with cardio machines that helps me get through my workout. Also, their yoga schedule fits perfectly with my life. I could have paid $9 a month to go to a cheaper gym, but they wouldn’t necessarily have the things I need to help motivate myself to actually use the membership. Instead of always looking for the least expensive option, analyze the features and perks you need to help you get the best of your money. If I had paid $9 a month, I don’t think I would have been at the gym even half as much as I am now, and basically that would have been a wasted $9 rather than a well-utilized $23, not to mention the fact that I also would be losing exercise. Food is a complicated process in my house. I am a vegetarian and my son is not, I can’t drink milk and my son does, and I don’t have a lot to spend on groceries. I absolutely positively love Wolfgang Puck’s Tortilla Soup. It comes in a can that really only makes one bowl, and is $2 a can. I also am in love with Aladdin’s Vegetarian Chili. It is $6 plus a tip since I am ordering it from a restaurant. So I buy one (sometimes 2) cans a week of the $2 soup, don’t share it with my friends, and use it as a treat for myself when I’m too tired to cook. It is healthy, so it’s not like I’m indulging and losing nutrition in favor of convenience. All in all, the opportunity cost as well as the literal cost makes this worth it for me. This is just one of many examples, and I’m sure we can all think of several examples of ways to save money by eating at home rather than eating out. You can always try new recipes, or look for copycat recipes of your restaurant favorites. You can invite friends over for dinner instead of going out to eat, and even make it a potluck to save you some time. Eating out is a huge expense and there are many ways to enjoy the pleasures without spending the money. I worked at Starbucks in college and had a pretty intense caffeine addiction for several years. Then I ended up in the hospital with chest pain and my doctor told me there was nothing really wrong with my heart but I needed to seriously decrease my caffeine intake. I tried not drinking coffee and only drinking diet soda (yeah, I know, not the healthiest choice, but you have to walk bad habits down the stairs, you can’t toss them off a cliff). But when I buy a 2 liter of Diet Coke, I can drink the whole thing in one day simply because I lose track of how much I’ve already consumed. So, to help with the caffeine problem and my occasional absentmindedness, I paid a little more for single-serving bottles so I could limit my portions. The problem is that even if I don’t want to keep drinking it, I know that it will go bad if I don’t finish it, and then I end up opening another can an hour later. So, now I buy 1 8-pack of 12 oz Diet Coke in the little bottles and make that last a week. Yes, it is more expensive than the cans and 2 liter bottles, but the lid allows me to let one bottle last so much longer. This solves one of my life problems, and so I include the extra few dollars in my budget and don’t feel bad when I spend a little more. There is more to life than money, and we need to remember that. You need to find ways to let your money facilitate your life rather than letting your money ruin your life. Netflix is only, what, $14 a months? I chose not to look it up because I didn’t want to be tempted to resubscribe. I ditched cable years ago for Netflix. Then, in January, I got rid of my Netflix because I would spend too much time watching television and I had more important things to do. $14 isn’t much, but $14 is a new book (or 12 at Goodwill), t-shirts for the baby since it’s getting warm, or 7 week’s worth of that expensive tortilla soup. Because this decision was about my life goals rather than a negligible amount of money, it made the financial decision a lot easier. When it comes time to reevaluate your budget, remember to make it about finding ways to do the things you want with the money you have rather than not do the things you want because you don’t have the money. I recently went to the store to buy a pair of tennis shoes. I knew I had $50 and at first found a pair that was right at that amount. Then I found a pair of dress shoes that were $25 and I decided I could afford $25 for dress shoes for work and then $25 for tennis shoes. I got twice as much because I was willing to split up the money I had saved. I also had planned on spending $500 of my tax return on a new computer, but instead found someone who could sell me a rebuilt laptop, a dock and two monitors for $550. I bought the laptop and told him I will be back in 2 weeks when I save $50 out of my budget to cover the rest. This is an example in the opposite direction of the shoes, but notice that I didn’t spend money I didn’t have but rather decided something was worth the investment. It is hard to keep a stringent budget, especially when you aren’t working with much to begin with, as with many college students. Regardless of the amount of money you have to use, if you don’t allow yourself some flexibility in terms of utilizing opportunities and enjoying your life then you are much less likely to stick to that budget. And that defeats the entire point. In order to stick to that great plan you are working on, remember to include entertainment and enjoyment in your budget so you can have those things in your life. You certainly have to reward yourself along the way. This helps you to stay on track for the long term.